In 1990, the first 86 seconds of Megadeth’s “Holy Wars… The Punishment Due” (off the classic Rust In Peace album) established the band’s then-new drummer, Nick Menza, as a leading figure in Metal timekeeping. A truly inventive player, Menza mixed the sophistication of Jazz with the brutality of Thrash to create a sound that fueled Megadeth from their commercial peak during the first half of the ‘90s until his departure from the group in 1998. Since Menza’s tragic and unexpected passing in May, the music world has continued to mourn and remember a man who made a lasting impact on the genre. Now, the Los Angeles-based visual art team SceneFour will further Menza’s legacy with the release of Influx, the drummer’s long-awaited fine art series. The full article is available on JoelGausten.com. See more great Megadeth videos in the UK Megadeth Videos section. 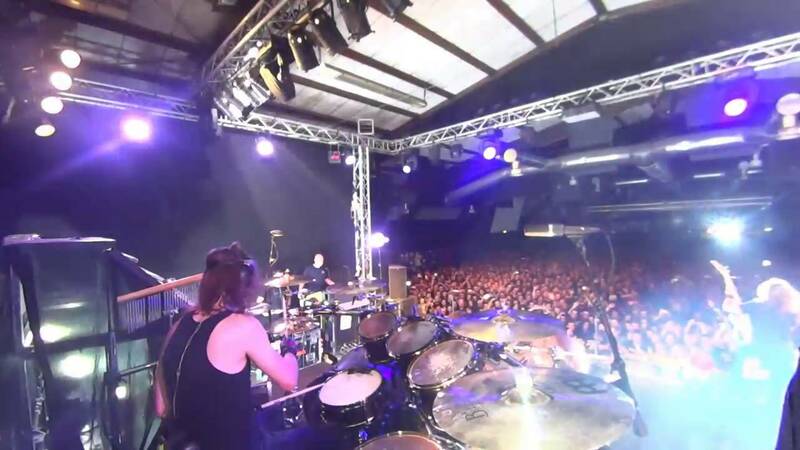 MEGADETH featuring SOILWORK drummer Dirk Verbeuren performing the song “Poison Was The Cure” live at Estragon Club, Bologna, Italy on June 3rd, 2016. “Poison Was The Cure” is taken from MEGADETH’s 1990 album Rust In Peace (Capitol Records). Music and lyrics by Dave Mustaine. Dirk Verbeuren will be filling in for Chris Adler from May 20th to June 25th, 2016. Special thanks to Chris Adler, Dave Mustaine, David Ellefson, Kiko Loureiro, Chris Rakestraw, Tony Laureano, Michael McGee, Ryan Tarby, Soilwork, Aaron Vishria at Tama, Steve Lobmeier at Evans, Chris Brewer at Meinl, Nils Eriksson at Toontrack and Jerald Lynch at dB drumshoes. Posted by Kiko Loureiro in Megadeth Videos at May 31, 2016 at 08:25AM. Kiko Loureiro joined Megadeth in April 2015 and made his first studio appearance on the band’s 15th studio album Dystopia. Posted by Kiko Loureiro in Megadeth Videos at May 30, 2016 at 03:10AM. Our very own Turbo host’s the ‘Midnight Metal Meltdown’ on Friday nights at midnight on Rock 100.5 The KATT in Oklahoma City. 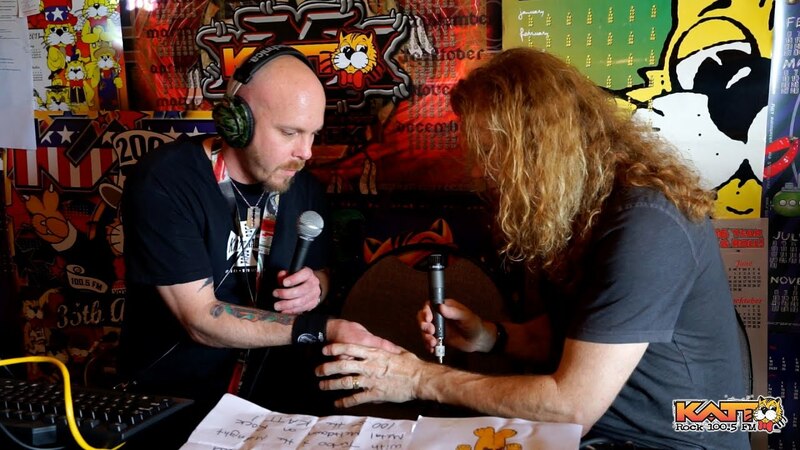 He sat down with Dave Mustaine from Megadeth to talk music, politics, how his body is physically holding up on tour, and much more. RIP Nick Menza. You were/are/always will be the best of them all. We love you, brother. 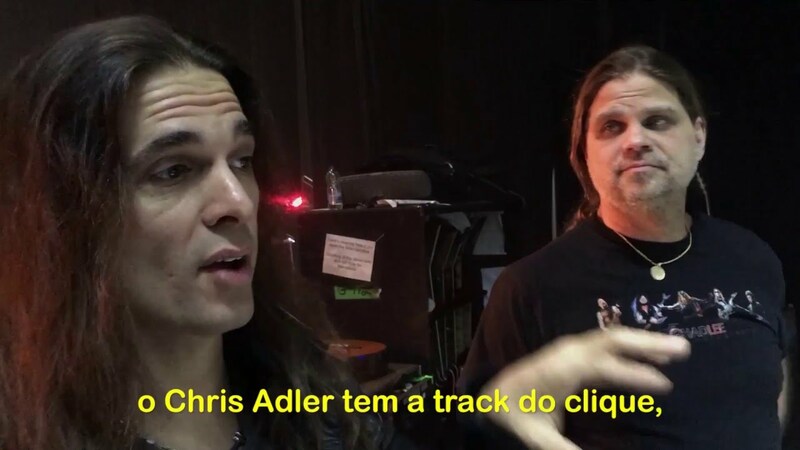 Posted by Kiko Loureiro in Megadeth Videos at May 24, 2016 at 06:52PM. Kiko Loureiro joined Megadeth in April 2015 and made his first studio appearance on the band’s 15th studio album Dystopia, from which this track is taken. Conquer Or Die and the following song on the record, Lying In State, dovetail together beautifully to form a super-track that harkens back to thrash days of old. Hey, everyone! Me and my buddy Fred are here to show you a little bit of how things goes on Megadeth’s backstage. Thanks for watching! Fala galera! Nesse vídeo eu e o Fred mostramos um pouco do que acontece por trás dos palcos do Megadeth, com legendas em português. Obrigado por assistir! Posted by Kiko Loureiro in Megadeth Videos at May 09, 2016 at 10:40AM.